Here is an example of a commission for a family who wanted to have original art work painted on the rooms of their two children. The first image is for boy who loves sealife and dreams of becoming an oceanographer when he grows up. 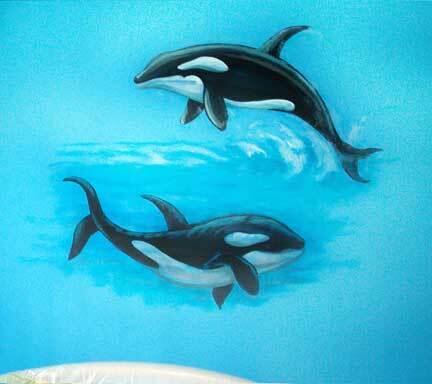 Two orca whales where painted along with a man o' war. 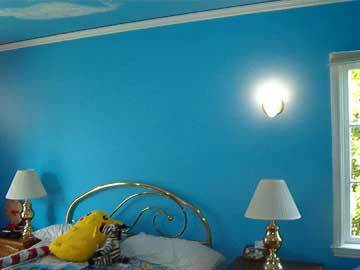 The boy's room was already painted in a light blue thus appearing to be underwater. 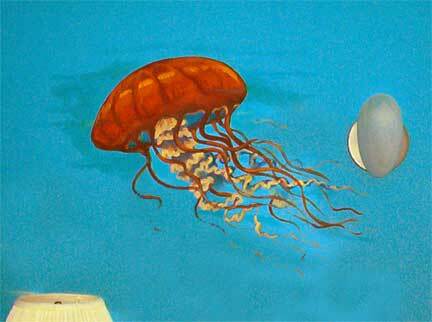 I added a reddish Man o' War on the opposite wall to add contrast. 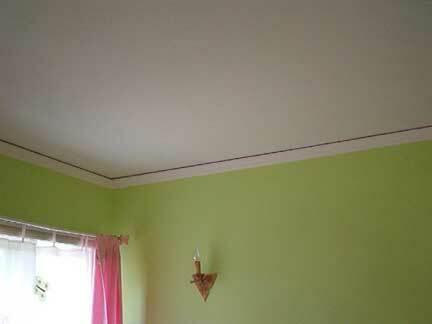 This room belongs to a very young girl so the parents wanted something very simple. Since she enjoys playing outdoors in the sun much of the day, I decided to paint a simple sunburst and butterflies above her bed. 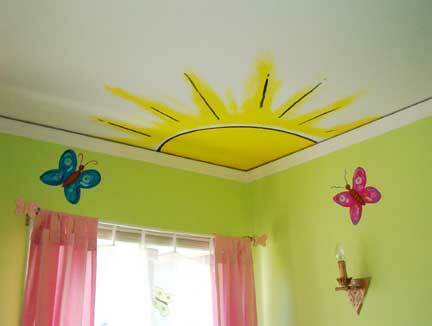 This way even in clouding days she would always have sunshine in her room. YOU CAN CAPTURE A FAMILY MOMENT , A FAVORITE PET, A VACATION SPOT ANY FAVORITE SUBJECT SPECIAL TO YOU AND YOUR FAMILY TO SERVE AS A BEAUTIFULLY ART PIECE ON YOUR WALL. CLICK HERE TO EMAIL THE ARTIST TO PROVIDE YOU WITH A QUOTE.